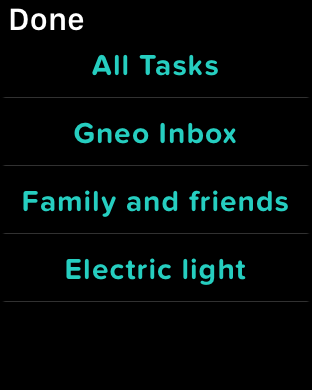 Gneo intelligently puts your Calendar, Priority tasks and Reminders on your wrist to help you get stuff done on-the-go. 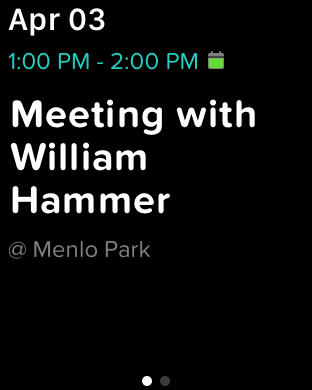 Keep on top of your schedule with a quick Glance to see what’s up next. 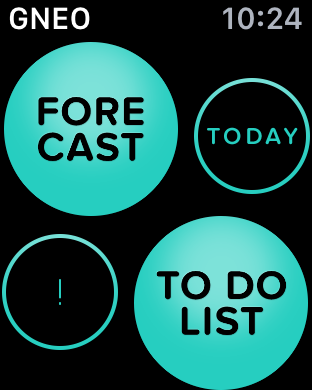 From Gneo’s elegant quick access Home screen, you can quickly see what you have planned for Today and for the week ahead and get to all of your most important to-dos from Priority. Busy day or Easy day? 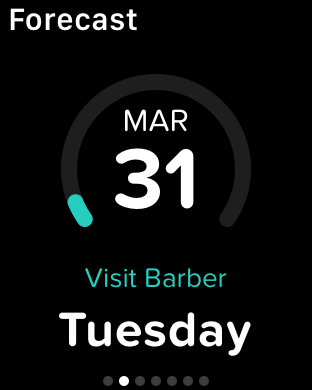 Quickly see how full your day is and what’s up next!